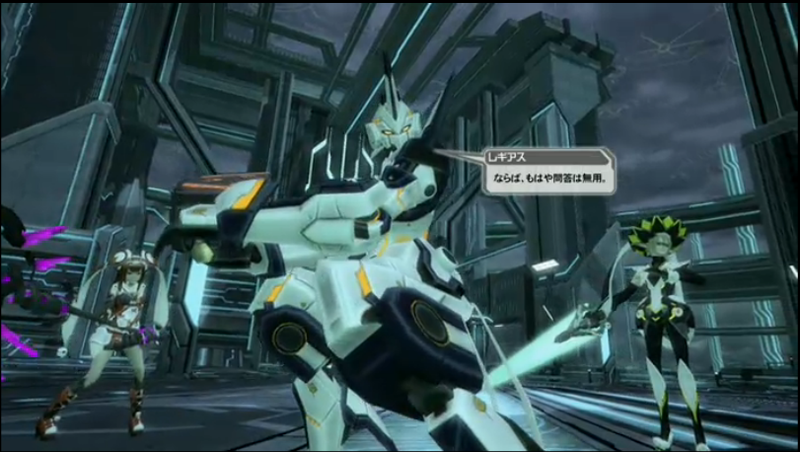 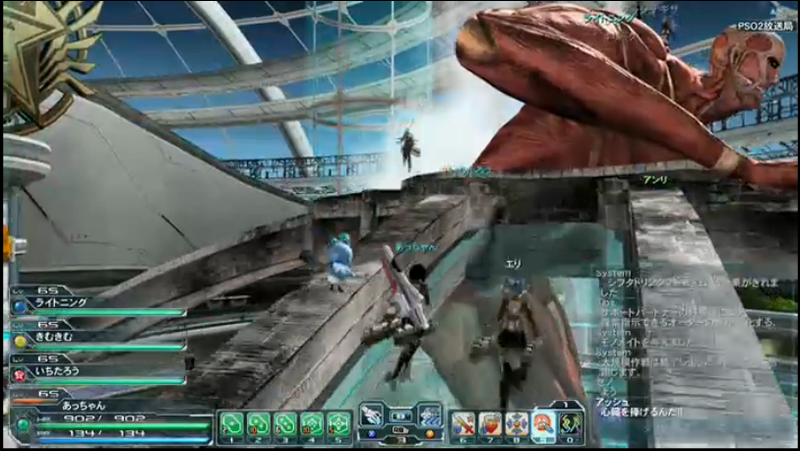 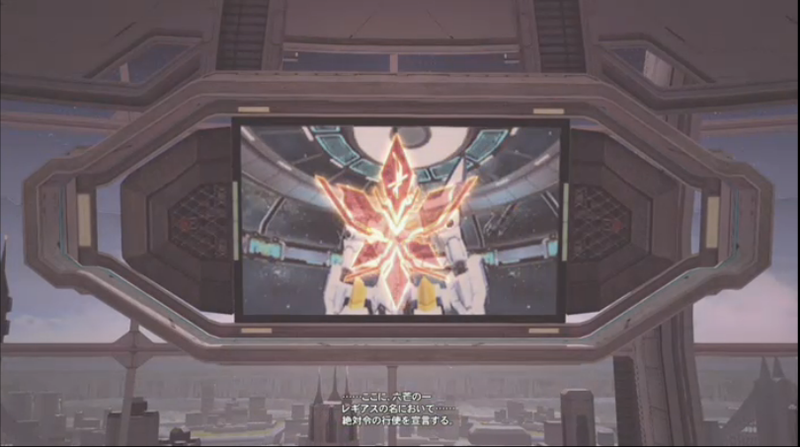 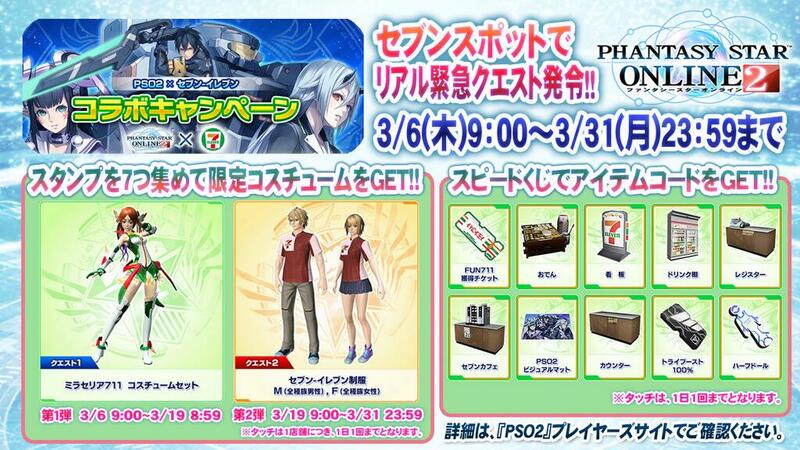 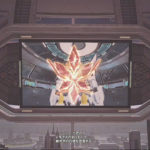 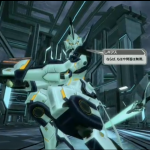 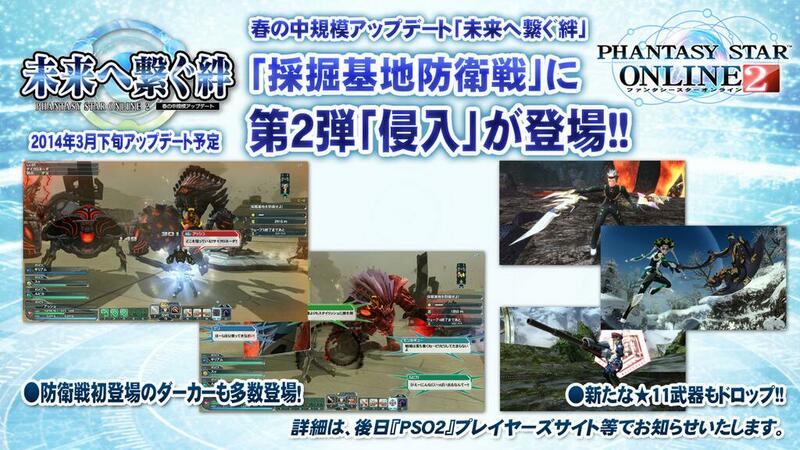 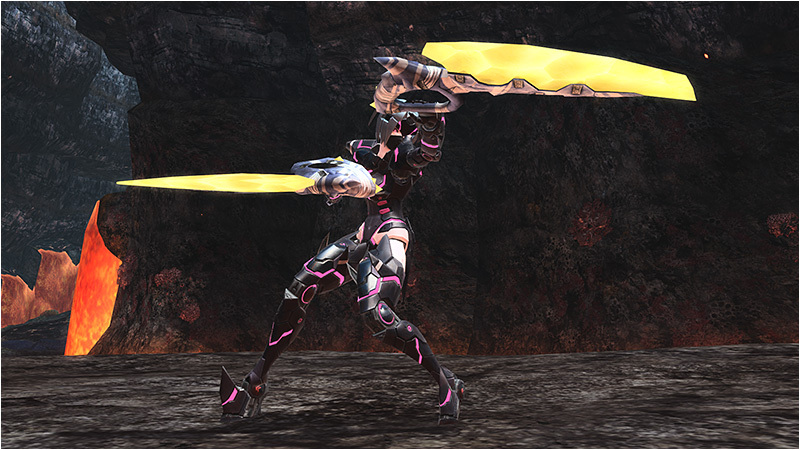 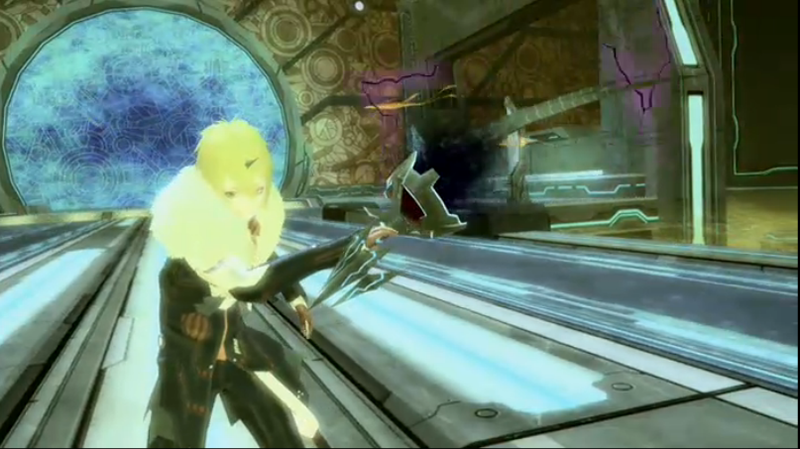 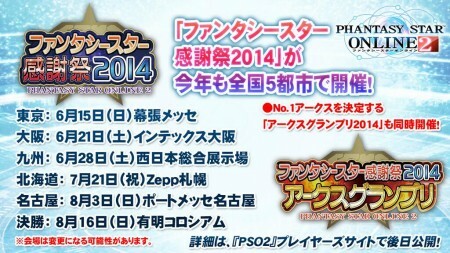 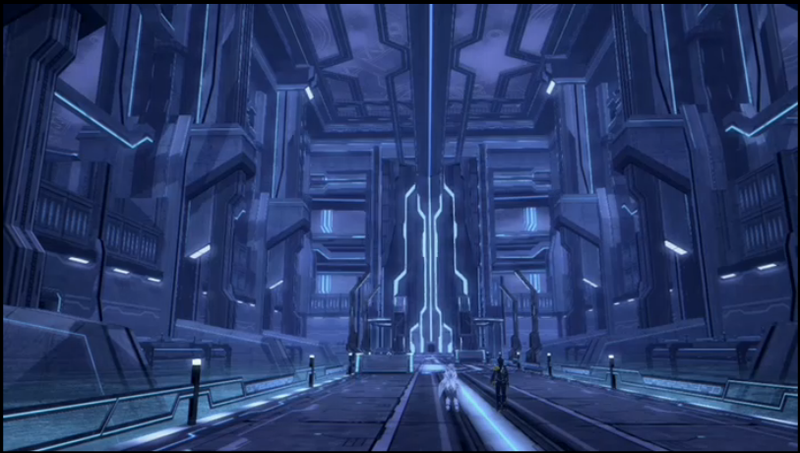 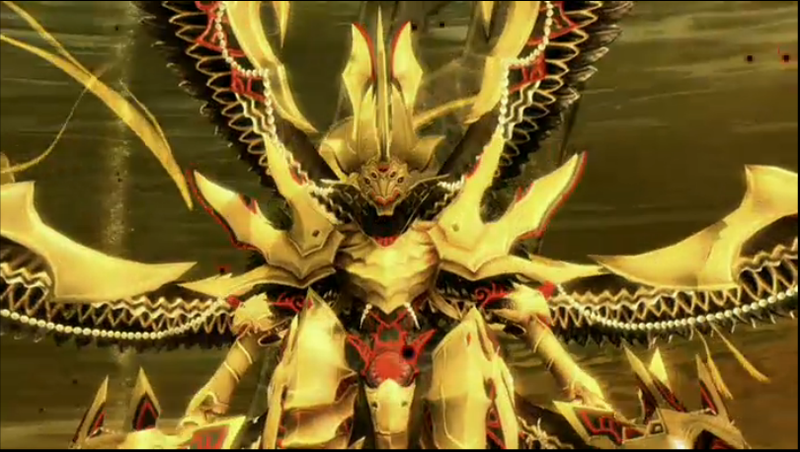 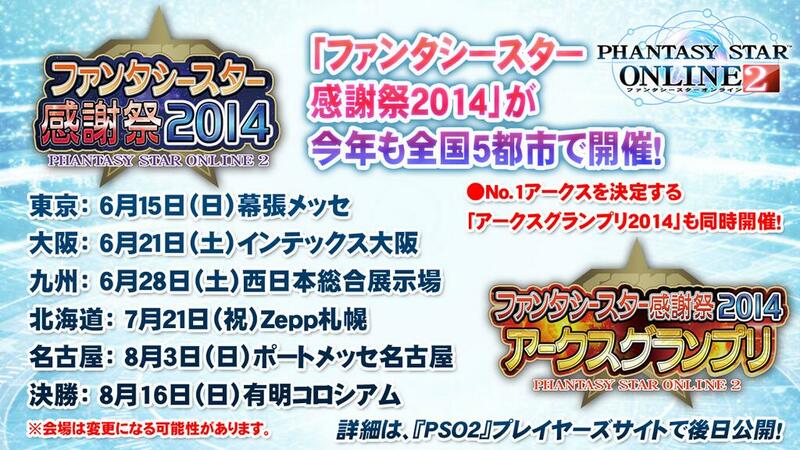 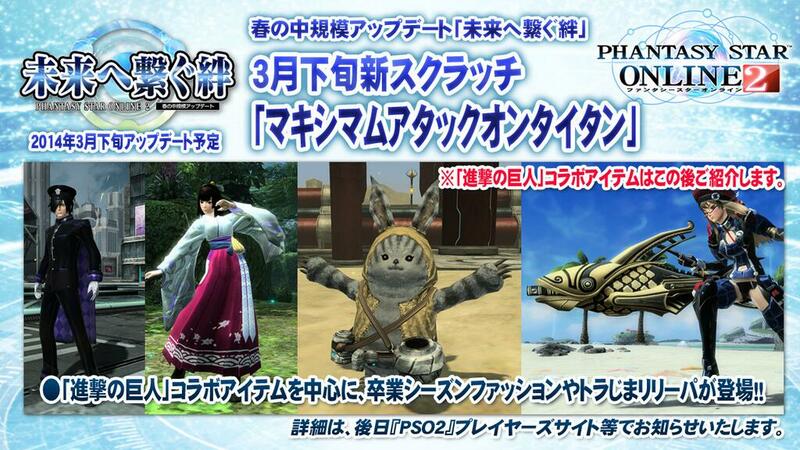 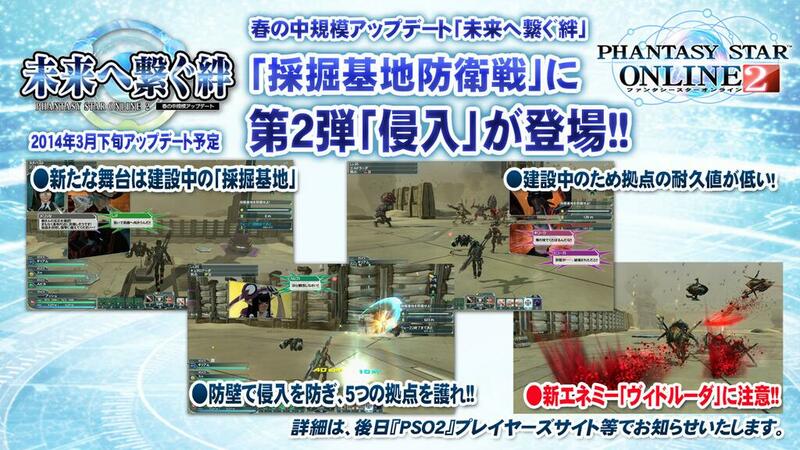 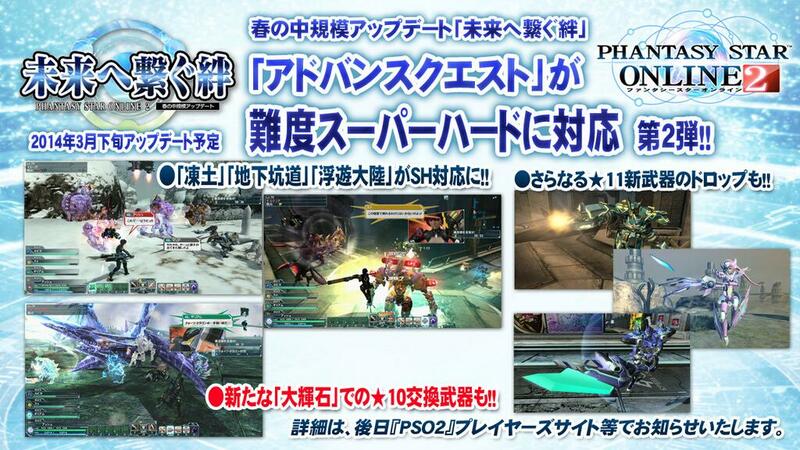 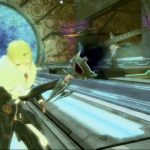 This is a live blog of the PSO2 Livestream currently in progress. 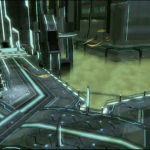 Details and information will be added to this post during and after the program. 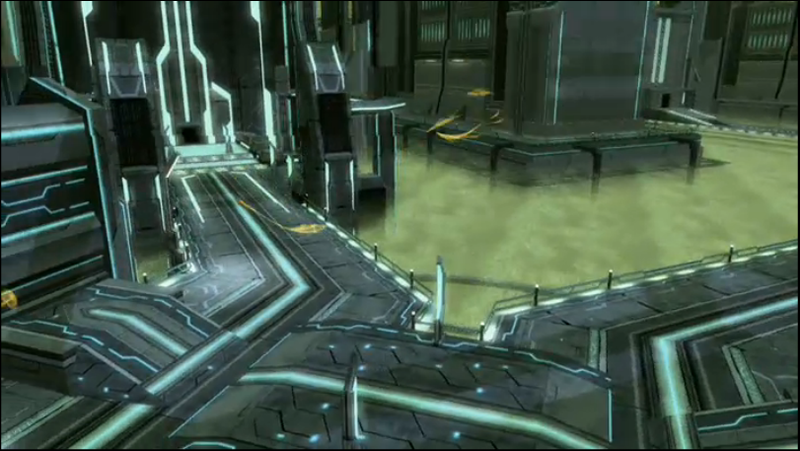 As such, we ask that you wait a few hours after the livestream for us to finalize our notes. 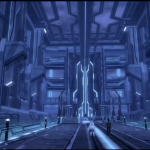 The information below is incomplete! 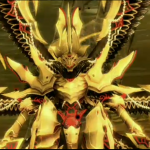 Please wait until this tag is removed! 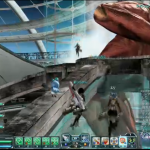 According to what’s listed in the Live Broadcast server, an “Amber Seeker” requires 1 Messer Agate and 3 Large Agni Fire Pyroxene. Trade in 100 Wind Pyroxenes to receive One Large Wind Pyroxene. 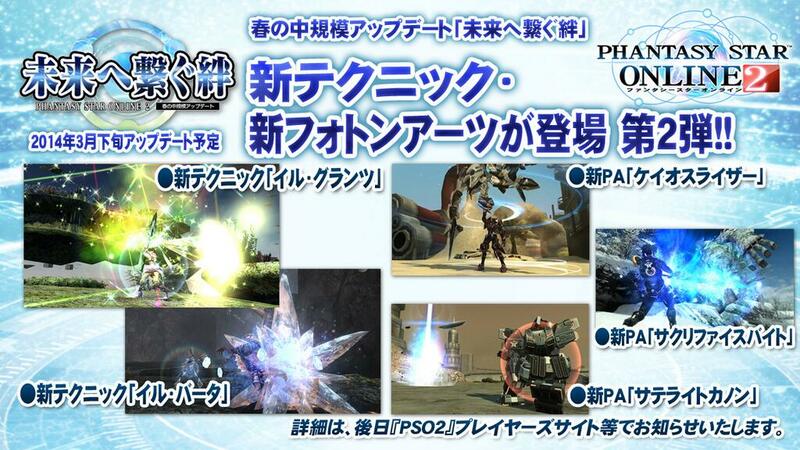 New ‘Large Pyroxene’ trade weapons. 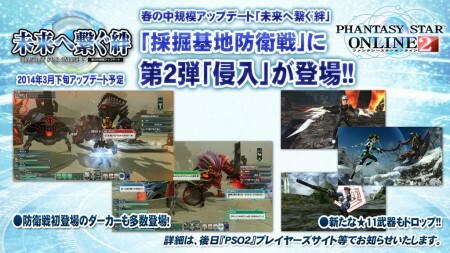 Enemies like Crabahda and Zeshrayda will appear! 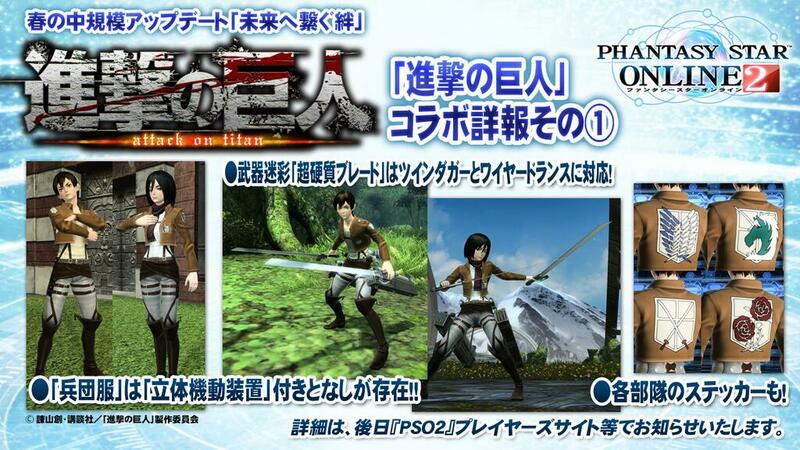 Corps Uniforms, with and without the 3D Maneuvering Gear. 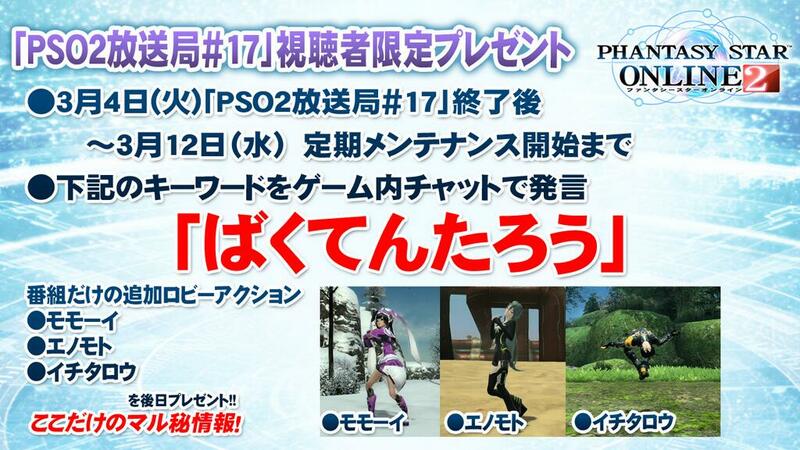 Say ばくてんたろう in chat sometime between now through March 12th’s maintenance to receive lobby actions from the co-hosts of the PSO2 Live Broadcast! 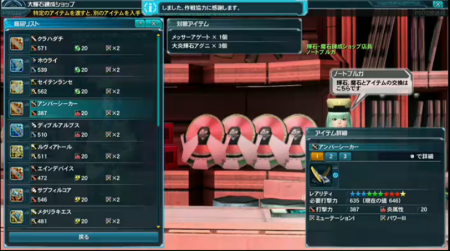 These lobby actions will be distributed at a later time! 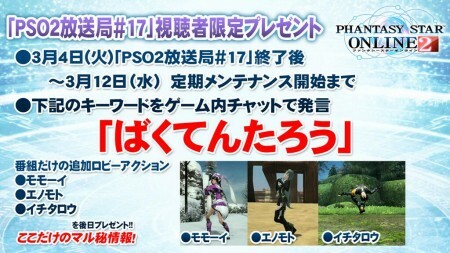 This campaign, (dubbed a real-life emergency quest), will allow you to obtain item codes for 7/11 themed goodies. 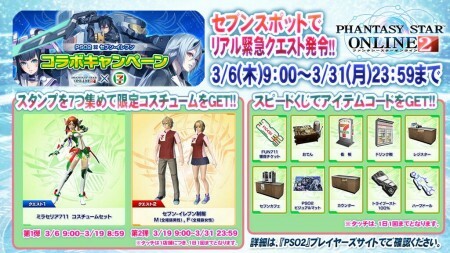 The only item of interest on this list is the ミラセリア711 (Miraseria 711) costume. 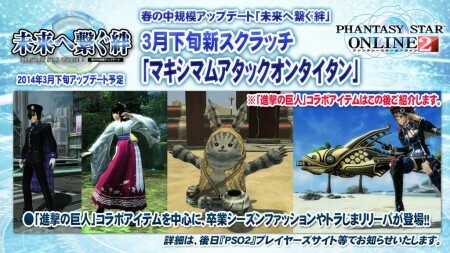 You can obtain this costume by collecting 7 stamps through the 7-Spot Wifi Service. 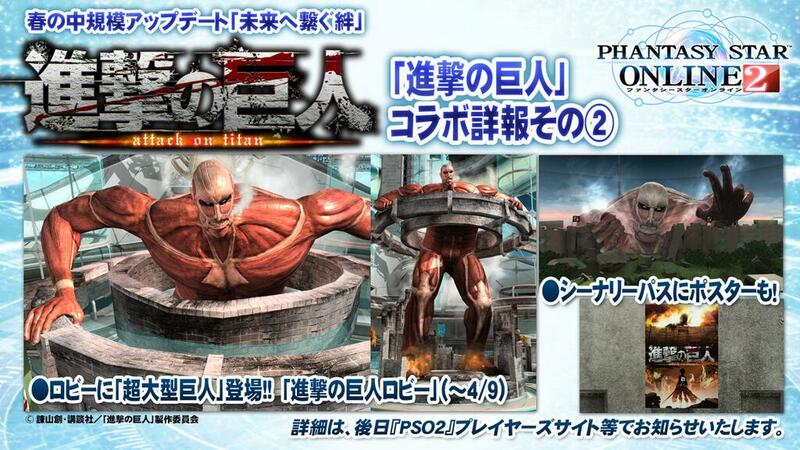 Of course, this campaign is only available to those physically in Japan.